Finally! Researchers in the US have developed a new device called MagMIMO that can wirelessly charge your phone using a magnetic field, pointing to a cordless future where all our devices are being charged wherever we go. 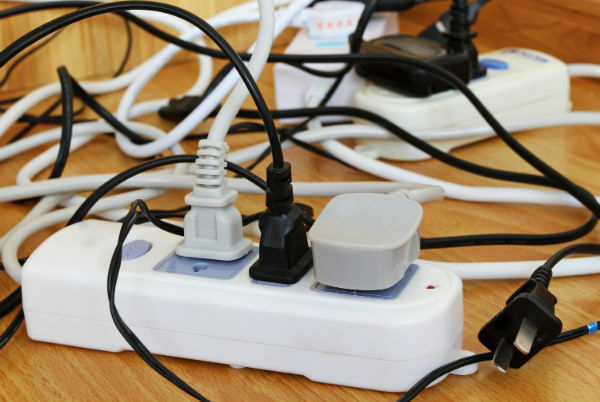 That ugly mass of cords you’re tyring to hide under your bed? Its time has almost come to an end. Scientists at MIT have invented a new device that can sense where your phone is and fire a magnetic field in its direction to keep it charged up. No plugging in required, ever. The MagMIMO prototype has solved the orientation problem – it doesn’t matter which way your phone is facing, and it don’t need to remain still, so you can be using it while it charges. Right now the phone can be charged at a distance of 30 centimetres, and the team is working on increasing that range. The magnetic field creates an electrical current in the coil, which charges any nearby phones. At the recent International Conference on Mobile Computing and Networking in Hawaii, the team reported that from a distance of 30 centimetres, they can charge a completely dead iPhone 4 to 100 percent in five hours. It uses no more power than current chargers, but can automatically start working on your phone, even if it’s still sitting in your pocket. This is a pretty exciting development, because it’s pointing towards a future where we’ll never have to plug anything in; in fact, we’ll never even have to think about charging our devices, because we’ll have wireless power everywhere, just like Wi-Fi is right now. Horrible mass of cords, your days are numbered!